More than 250,000 email professionals trust Litmus to help them save time and send emails with confidence. Litmus provides email previews and quality assurance tools across all major inbox providers, browsers, and devices, and features comprehensive analytics to help users quickly and easily build, test, troubleshoot, and optimize every campaign. It's an email marketer's nightmare: The email that looked perfect in your inbox looks broken to your subscribers. 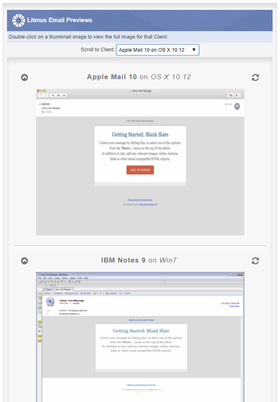 Every email client displays your HTML differently. Plus, email clients update their support for various attributes without notice. While your template may have worked last week, it may not work everywhere today. Testing your email helps you send with confidence every time knowing that your subscribers will be able to see your messages as you intended. What are Litmus Email Previews? Testing your email manually can be a daunting task. 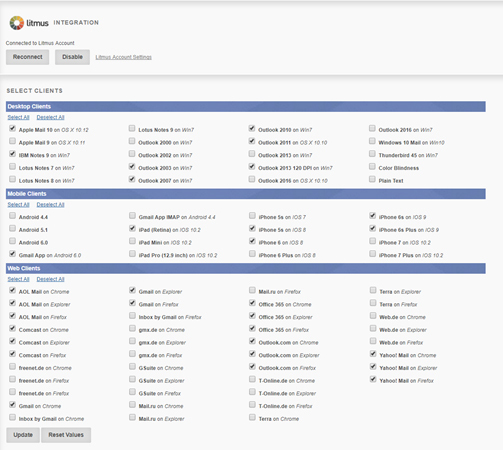 Litmus Email Previews instantly show you screenshots of your email in 70+ popular email clients and devices, including Gmail, Outlook, and iOS Mail, so you can test, troubleshoot, and optimize your campaign. How to use Litmus with Savicom? 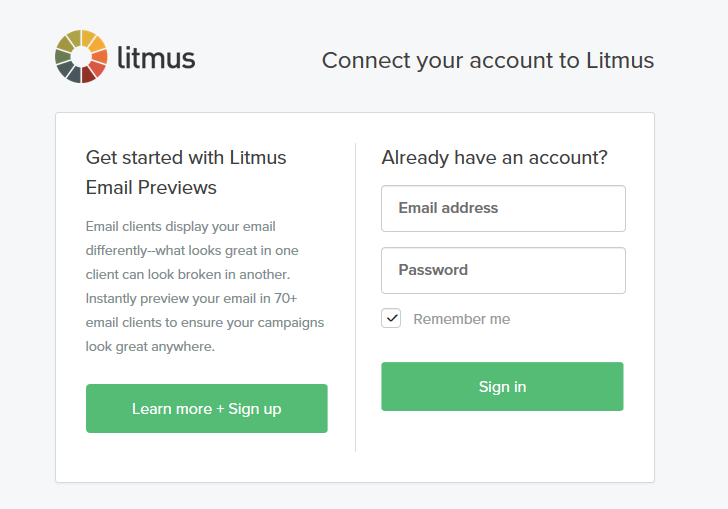 Getting access to Litmus Email Previews in Savicom is easy—all you need is a Litmus account. You can find "Litmus Integration" under "Integration" on the main menu or in the menu bar. Create a Litmus account to preview and troubleshoot your email within Savicom and get access to all the additional features Litmus has to offer, including Spam Testing and comprehensive Email Analytics. Learn more about Litmus' features and find a plan that fits your needs. Already have a Litmus account? When in "Litmus Integration", click "Connect." Use your Litmus credentials to log into your Litmus account. • Update button: Click this button to save the currently selected email clients as your default. • Reset Values button: Click this button to return your selection to the previously saved email client selection. • Reconnect button: If your account sync is broken you can reconnect with this button. • Disable button: Use this button to disable Litmus Integration. • Litmus Account Settings: Use this link to go to your Litmus account settings. After your account has been linked and email clients selected, go to "Compose/Send Campaign." In the "Manage Content" tab, click "Litmus" towards to the top right of the HTML editor toolset to view previews. In the "Litmus Email Previews" pop-up you can use the dropdown menu or scroll down the page to view previews of your message for the email clients you selected in the Integration page. Double click on the preview image to see them in full size. If you don't see a specific email client you would like to view go back to the Integration page, select the desired email client form the check list, and click "Update" to save your selection. Next, simply return to your campaign's content editor and click the Litmus link to view previews again. *Litmus integration currently only available to "Marketing Pro Plus" tier members and above.